Looking for a Pc free video editing software to use in 2019? Use these free video editors to edit video on your PC to save your time and money! Using a PC to edit videos for uploading to YouTube, sharing on Facebook, Vimeo or other sharing channels has become more and more interesting to every one nowadays. It doesn’t matter you are novices or professionals in video editing, there’s still a chance for you to polish your footage to create high quality, nice looking videos with free video editing software. In this post, I am going to share with you top 4 Pc free video editing software that are most popular, and easy-to-use among all the programs I’ve tested. These programs can work on any Windows PC with many amazing features. I have been using VSDC free video editing software fore few months and recognized that it is really good, really awesome. No matter what you want to make: tutorial video, music video clip or a movies, VSDC can help you do all the things in a perfect way. It is totally free and no watermark. Feature hightlight: cut, trim, split, join video, add effect, blur effect, crop, add text, add shapes, add subtitle, export video to high quality formats. VSDC Free Video Editor – A professional tool for everyone with NO COST AT ALL. If you need a free, powerful free video editing software for your Windows PC (Windows 7, 8x, 10), ActivePresenter might be the best choice. It offers all necessary tools for editing video totally FREE. Video quality is excellent. Feature highlight: Record screen, cut, trim, crop, split, join, add blur effect, add transition, adjust video speed, adjust audio, export to various formats. It is an elegant and professional, light weight free tool to make home movies and easy to use. If you have a little time editing video before, you will learn lightworks 14 easily. It has all basic editing features plus some advance editing tools that you use to make your videos more professional look too. Feature highlight: Import video, cut, trim, crop, split, join video, add effect, text, color correction, export video to various format. Like Lightworks, Shotcut free video editor is perfect tool for editing videos on Windows PC. It is light weight as well. While many other video editors require high specs computer, Shotcut can work well even with a dual core chips and 1GB ram only. I had used this tool before and know it will work without any lag. Feature highlight: Cut, trim, crop, blur, add text, 3D text, color correction, export to various formats without watermark. How to choose your first free video editing software? If you occasionally want to polish your footage, captured from your phone, camera to share it with your friends or colleagues and will not do the task again, you only need a simple, free video editing software in the above list. On the other hand, what if you want to be involved in professional video production, film editing industry as a professional, then you should look at the software more carefully, for example: look at its advance editing tools, budget, technical support, tutorial and so on. Therefor, set your goal and find the tool you need whether it is free or paid program. 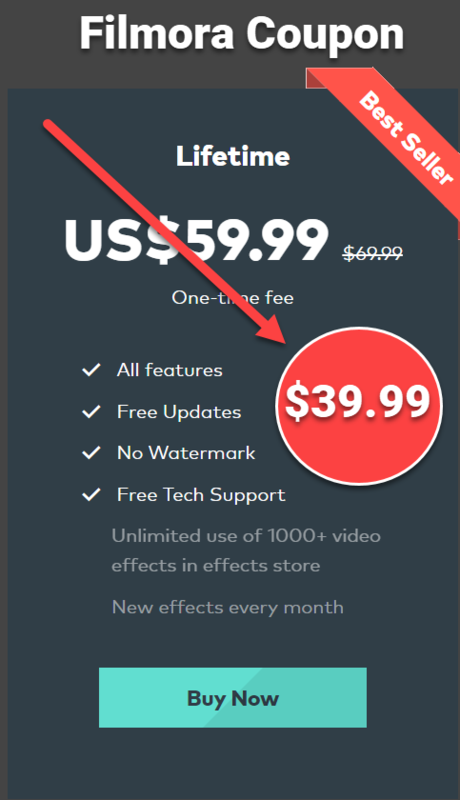 Deciding to use free video editing software, you don’t have to spend any money for sure. However, there are some disadvantages in using them such as no quality guarantee, no technical support, security threats and so on. Ok, that’s fine because you accepted to use freeware, right? YouTube has become one of my favorite channel to check any software. At first, I will check if the publisher has their own YouTube channel to show product tutorial videos made by themselves or not. Then, I will check how the users react to the use of the software before trying to download and install it. You should do the same as I did. Good software always comes a long with enough tutorial videos on YouTube. Editing video is fun. It is even more fun if you have a professional video editor at no cost like VSDC, Shotcut, Lightworks or ActivePresenter. Try them and share with me your opinion.